Change cannot happen unless a person feels safe, respected and understood. Respect and sensitivity is the foundation of counseling at Cascade Pathways. We regard each person as an individual with unique needs and issues. Cascade Pathways focuses on wellness – helping an individual experience balance and integrity within his or her inner emotional being, in relationships with others and through experiencing a sense of meaningful existence within our culture and environment. Cascade Pathways provides an environment free from judgement and shame, where a person can be honest – really honest- to rediscover their most authentic self. Self-discovery, self-acceptance, and self-respect are necessary precursors to receiving the understanding, respect and care that we all want from others. Unlike many other programs, Cascade Pathways relies primarily on individual counseling as the primary treatment activity. Larger programs tend to get molded toward the lowest common denominator – full of rules and expectations – which while appropriate for some, can be very restricting and harmful for others. Group therapy at Cascade Pathways is also available when appropriate. When group therapy is offered, the focus is on groups where members have very similar struggles. Staff work to create an environment of mutual respect in groups, enabling each member to learn from the others. Developing a support network and enhancing a sense of community is also essential to moving away from unhealthy relationships with drugs and alcohol. Twelve Step programs are very effective in providing this support for individuals that are comfortable with this approach, but for those who are not comfortable with AA or NA, Cascade Pathways endeavors to provide alternative group therapy experiences. Groups that have been offered at different times have included a Men’s Group, a Women’s Group, an “Overcoming Opiate and Painkiller Addiction” group and Parent/Family Support Groups. Research shows that although any therapeutic treatment can have benefit, the primary factor in therapeutic change is simply the degree of relationship and rapport between the counselor and the client. Cascade Pathways will strive to ensure this happens, either within the program or in assisting the client to find it outside the program. All treatment services rely at core on evidence-based treatment modalities including, but not limited to, Motivational Interviewing, Cognitive Behavioral therapy, Dialectical Behavior Therapy and therapeutic Mindfulness Meditation. We focus directly on relapse prevention, development of emotional coping skills and addressing triggers, cravings and the emotions that often underlie drug and alcohol use, such as anxiety, depression, loneliness, social fears and a lack of a sense of genuine connectedness with others. 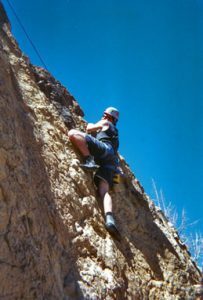 In the future we hope to resume offering an experiential group for adults that will involve wilderness therapy activities such as backpacking, camping, rafting and rock-climbing as a means of catalyzing emotional growth in the recovery process.